TLC Grips is a family-owned, small business with just one goal: to help our fellow shooters in their pursuit of excellence! We are all shooters, and love competing in a tremendous variety of shooting sports. On average, we find ourselves shooting every other weekend… Whether it’s training for competitions, instructing others, hunting deer or coyotes, or actually competing in shooting tournaments, we stay involved! We strongly believe in “giving back” to the shooting community that has been so kind to us. Accordingly, our owner has instructed and coached many shooters, young and old, at all skill levels ranging from beginners to seasoned Champions. He freely shares the knowledge, skills and insights he’s gained while competing in NRA State and National Level, as well as, World and International Level events. Our entire family enjoys the shooting sports — and the people in those sports are some of the nicest folks you’ll ever meet! Born in our pursuit of excellence in Precision Rifle competition… The TLC Grip is the result of over 3 years spent designing, testing, tweaking, adjusting and re-testing as well as the Beta testing with novice and experienced shooters of all ages and sizes. Increasingly-refining the versions of the grip design in the crucible of intense competition. The rifle’s grip is not merely a “handle” to hang onto while shooting! It’s the critical platform that places the shooter’s hand and fingers at just the right angles to optimize both trigger control and bolt manipulation. Placing the hand optimally in relation to both the trigger and bolt handle helps reduce stresses that interfere with the finest accuracy. Further, our highly refined design positions the hand to operate the bolt with minimal shooter effort and distraction. If you’ve fired target rifles, competition rifles, or sniper rifles then we think you’ll find this grip feels familiar and natural. It just feels “right” — give it a try! The TLC Precision Rifle Grip’s superior design helps competitors both develop and consistently employ their best marksmanship skills. Using our extensive knowledge and experience, our staff has carefully analyzed every dimension, contour and angle of the TLC Grip to help competitors perform at their best. The TLC Grip provides comfortable, familiar and natural hand positioning in any firing position. Whether you’re firing prone with a bipod or sling, from a bench, or in any positional orientation — it works! Our near-vertical design and highly-refined palm swell enhance both trigger control and recoil management. 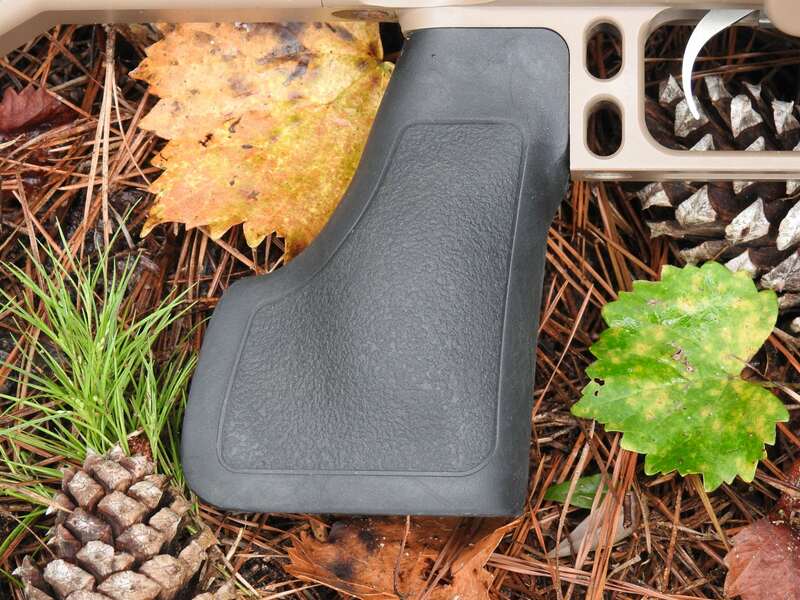 The TLC Grip employs familiar single-bolt, standard AR-style mounting.